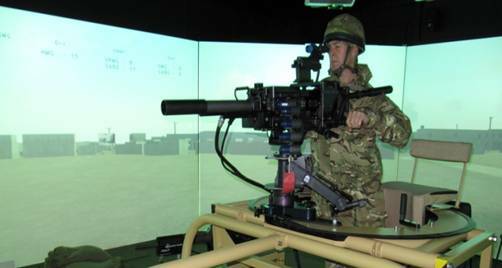 The CATT simulators use a combination of Comtrol’s RocketPort® and DeviceMaster® connectivity platforms. Comtrol’s RocketPort PCI cards provide connectivity for each simulator being linked to a multitude of sensors, while the DeviceMaster Platform network enables each simulator to be linked to different locations and tactical groups. There were a number of connectivity challenges to overcome in the CATT system’s design, and with the amount of simulators to connect, the number of IP addresses were in short supply. Comtrol’s high-density DeviceMaster allowed 32 simulators to attach to a single IP address, minimizing the load on the network. Overall system performance and latency requirements were also critical to the application. Comtrol’s RocketPort cards and DeviceMaster device servers provided an ideal match of performance and functionality. Military Simulator Training System – Comtrol’s connectivity offerings provided the scalability and flexibility needed to link all of the systems together, from each individual simulator to entire networks of training facilities.